Please note that the content of this book primarily consists of articles available from Wikipedia or other free sources online. 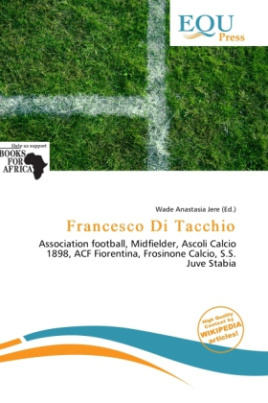 Francesco Di Tacchio is an Italian footballer who plays for Serie B club Juve Stabia, on loan from Fiorentina. In June 2009, Di Tacchio was signed by Fiorentina, and Arturo Lupoli joined the opposite direction. Both clubs jointly contracted with both players. On 19 August 2010 he moved on loan to Frosinone. On 11 July 2011 he moved on loan to Juve Stabia. Di Tacchio played his first Serie B match on 28 February 2009 against Avellino.